With the FIFA 19 demo out now, we’re just a matter of weeks away from the game’s full release on September 28 for PlayStation 4, Xbox One, PC and Nintendo Switch. 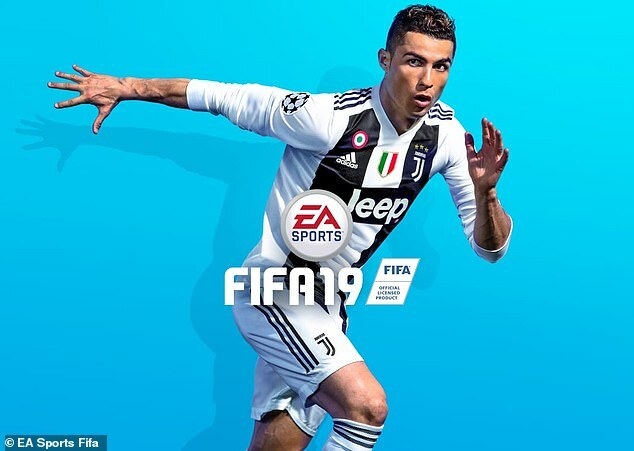 To help build excitement, EA Sports have revealed the best 10 players in the game for each position from the Premier League, La Liga and Bundesliga. 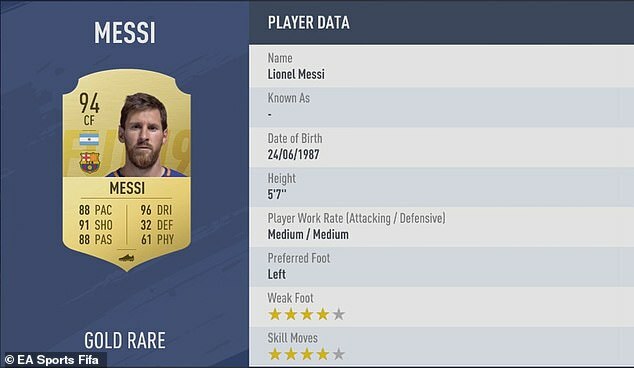 With Cristiano Ronaldo moving to Juventus, Lionel Messi holds sole claim to the throne as La Liga’s best player, although both of them share the same rating of 94. Meanwhile, the top spots in the Bundelisga and Premier League are shared. Bayern Munich duo Manuel Neuer and Robert Lewandowski are both 90 rated while Eden Hazard, Kevin De Bruyne and David De Gea are the Premier League’s best representatives at 91 overall. Representing the Premier League as the best goalkeeper on the entirety of FIFA 19 and the joint highest rated card in the Prem is Manchester United’s David De Gea. With an amazing overall of 91, the card features 90 diving, 94 reflexes, 85 handling, 57 speed, 87 kicking and 88 positioning. Meanwhile the top in La Liga is Thibaut Courtois who recently joined Real Madrid from Chelsea. The 90-rated card has 88 diving, 87 reflexes, 91 handling, 46 speed, 74 kicking and 87 positioning. Finally from the Bundesliga we have Manuel Neuer who is the joint highest rated player in the league. His 90 rated card features 91 diving, 88 reflexes, 88 handling, 54 speed, 91 kicking and 88 positioning. 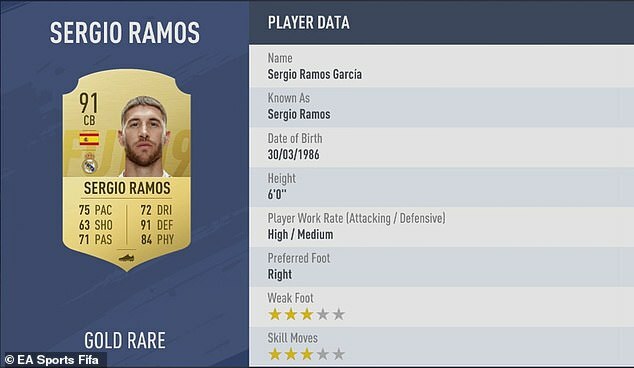 The best defender from Spain is actually the best defender in the game, Sergio Ramos. The 91-rated Real Madrid man boasts 75 pace, 72 dribbling, 63 shooting, 91 defending, 71 passing and 84 physicality. As for the Premier League, Tottenham’s Jan Vertonghen is the cream of the crop with an overall of 87 featuring 63 pace, 72 dribbling, 63 shooting, 88 defending, 73 passing and 79 physicality. And then finally from the Bundesliga is Bayern Munich’s Mats Hummels. The 89-rated centre-back has 65 pace, 73 dribbling, 58 shooting, 90 defending, 76 passing and 76 physicality. 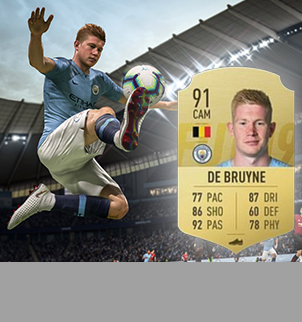 Manchester City’s Kevin De Bruyne is the joint highest rated player in the Premier League and midfielder in the game with an overall of 91. The amazing card features 77 pace, 87 dribbling, 86 shooting, 60 defending, 92 passing and 78 physicality. Joining him on the top spot with a rating of 91 is Real Madrid’s Luka Modric. The Croatian boasts 76 pace, 91 dribbling, 76 passing, 70 defending, 90 passing and 67 physicality. Finally from the Bundesliga we have James Rodriguez who is an 88 overall with 72 pace, 86 dribbling, 86 shooting, 50 defending, 88 passing and 67 physicality. The Bundesliga don’t have enough wingers to complete a list, leaving the Premier League and La Liga to hold the fort. 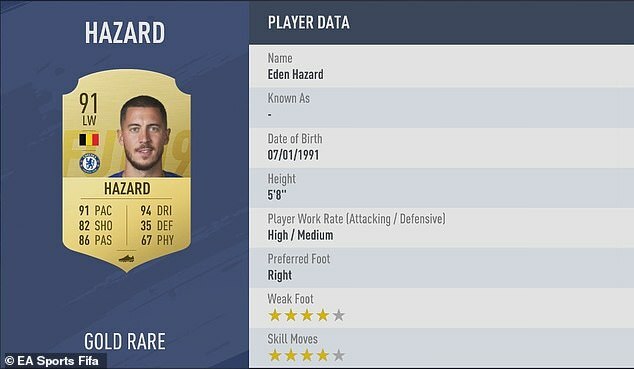 Joint highest rated player from the Premier League Eden Hazard tops the list with an overall of 91. The spectacular card has 91 pace, 94 dribbling, 82 shooting, 35 defending, 86 passing and 67 physicality. As for La Liga, it’s a tie between Gareth Bale and Coutinho with ratings of 88. The Welshman looks as strong as ever with 95 pace, 85 dribbling, 88 shooting, 58 defending, 84 passing and 76 physicality. Coutinho meanwhile has 81 pace, 91 dribbling, 91 shooting, 45 defending, 86 passing and 64 physicality. Finally for strikers there could only be one man leading the way, Lionel Messi. Having swapped from a right winger to a centre-forward, the Argentinian is the joint best player in the game with a rating of 94 featuring 88 pace, 96 dribbling, 91 shooting, 32 defending, 88 passing and 61 physicality. Meanwhile in the Premier League it’s a draw for the throne with Harry Kane and Sergio Aguero, both 89 rated. Aguero has 84 pace, 89 dribbling, 89 shooting, 26 defending, 76 passing and 78 physicality. Kane on the other hand has 70 pace, 81 dribbling, 90 shooting, 47 defending, 79 passing and 83 physicality. Then from the Bundesliga is the league’s joint-best player, Robert Lewandowski. The 90-rated forward from Poland features 78 pace, 85 dribbling, 89 shooting, 41 defending, 75 passing and 82 physicality.